The remaining weeks of August come with an impressive number of great crypto conferences, on the back of a month of large-scale ones like the Dubai International Blockchain Summit. If you missed that conference or any other blockchain events, there are still very good options for you to choose from in the second half of August. The one-day event is hosted by Blockchain China Connect, with the help of partners such as Artisan Business Group, Triphop, FundingPost.com, and WONO. The event promises more than 30 expert speakers from the US and China and will include topics of discussion like the application of blockchain tech in various fields, and the future trends of digital currency, Bitcoin mining, ICOs, innovative startups, government supervision and many others. The Mobile Payments Conference is scheduled to take place in Chicago, USA, and promises to teach more about new, emerging, and exciting technologies including mobile payments, digital wallet, and AI, as well as cryptocurrencies and blockchain. The event includes world-class experts from mobile payments, cybersecurity, and fintech sectors such as Donald Bush (VP of Marketing – Kount), Jack Connors (Commerce Partnership – Google), Thad Peterson (Senior Analyst – Aite Group), Aaron Lint (VP of Research – Arxan), Jack Philbin (Founder & CEO – Vibes), Matt Donnelly (VP of FreedomPay), Sam Hall (CPO of GrubHub) and many others. Russia it will host one of the biggest crypto conferences in Moscow soon. Various government leaders, influencers, as well as interesting investors are expected. 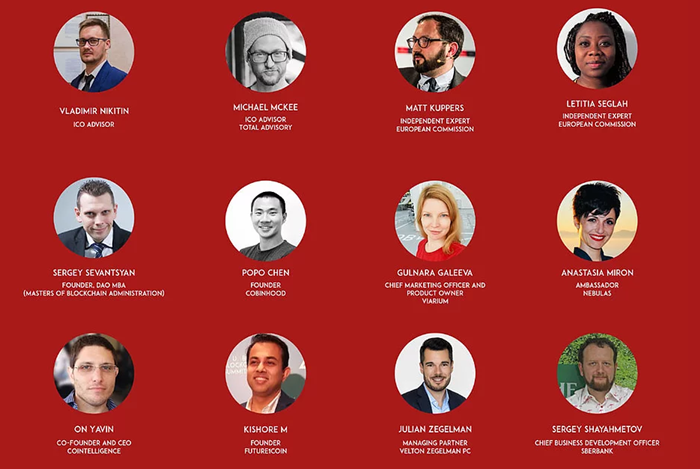 Some of the biggest names include Vladimir Nikitin (ICO Advisor), Matt Kuppers (independent expert European Commission), Popo Chen (Cobinhood founder), Gulnara Galeeva (chief marketing officer and product owner at Varium), Anastasia Miron (ambassador Nebulas), On Yavin (CEO at Cointelligence) and Kishore M (founder of Future1coin). Another noteworthy crypto conference is set to take place in Shanghai, China. The conference will focus on various trends and innovations in blockchain , as well as other technical aspects such as blockchain algorithm and theory, blockchain architecture practices, as well as investment and business models. The event promises the attendance of more than 30 of the world’s top tech experts and IT professionals. The full list of speakers as well as other details can be found on the official website of the event. During the same two day period, the Voice of Blockchain is set to take place in Chicago, USA. Expected attendees include: Tone Vays (Crytpo Scams Podcast), Marguerite DeCourcelle (Coin Artist/Founder of Neon District), Matthew Roszak (co-founder of Bloq), Rumi Morales (partner at Outlier Ventures), Jimmy Song (Bitcoin Educator), tor Bair (Head of Growth at Enigma), Joe Renz (Advisor to IOTA), Santiago Siri (Founder of Democracy Earth Foundation), and many others. Europe won’t be left behind when it comes to crypto conferences, and one of the biggest one is set to take place in Hamburg, Germany. Besides the impressive array of European and International speakers, the event will also host the Skycoin ecosystem launch in Europe, an exhibition zone with product demonstration, afterglow parties with DJs, as well as Vegancoins and Skycoin Miner giveaways. Africa, like Europe, will have its own time to gather great thinkers; as it will do at the Unlocking Blockchain Africa conference. The event is set to feature over 1000 conference attendees, over 30 speakers and companies, and it’s sponsored by over 20 partners. Visit the event’s official website for more information about the speakers, as well as the event’s agenda. With over 700 attendees, over 60 speakers, over 40 exhibitors, and 34 sessions, the Blockchain Summit Singapore promises to be one of the biggest crypto conferences within the Asian space. The event describes itself as being “The World’s Largest Dedicated Blockchain Event for Business Leaders.” Find out more by visiting the event’s official website. Our list ends with Coinvention, a promising crypto conference bound to take place at the end of the month in Philadelphia, USA. Besides an impressive number of noteworthy speakers, the event also hosts an exciting Hackathon with various prizes.